More than 20 civilians were killed and scores wounded when Jabhat al-Nusra and Ahrar al-Sham terrorist units once again shelled Aleppo’s residential areas, the Russian center for reconciliation of opposing sides in Syria reports. 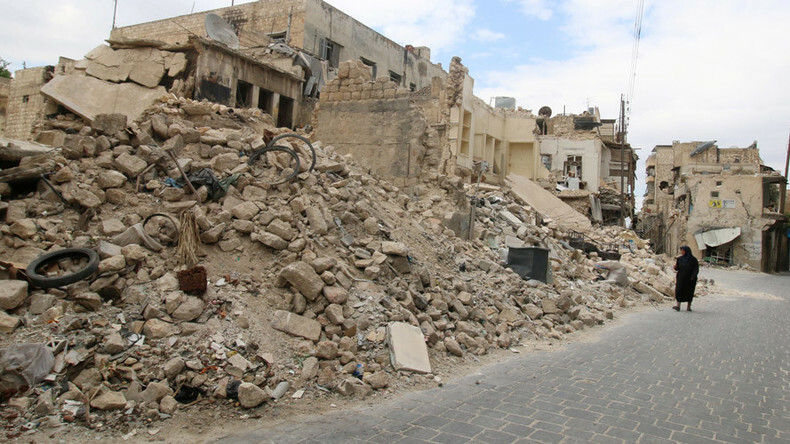 Residential and administrative buildings in the Muhafaza and Meydan neighborhoods of Aleppo suffered the brunt of the terrorist onslaught on Tuesday, the Russian Center for Reconciliation said in a statement. Some mortars targeted and destroyed a busy shopping area, killing dozens of people. “More than 20 people were killed, and around 40 suffered injuries of various degrees as a result of terrorist shelling of the shopping mall and adjacent shops,” the statement reads. The Russian side also notes that terrorist fighters are “taking advantage” of the ceasefire regime and were able to infiltrate and take safe haven in the same neighborhoods of the city where the so-called “moderate opposition” is located. Because the so-called moderate opposition is not being targeted under the US-Russian brokered truce, the jihadists, the Center notes, were able to “regroup” and replenish arms and ammunition before commencing “active” fighting. Some 136 municipalities are now officially taking part in the truce after a total of 60 fighting cells signed the ceasefire regime. The February agreement does not include Al-Nusra Front and Islamic State (IS, formerly ISIS/ISIL) or other formations considered terrorist by the United Nations Security Council. To root out terrorists from Aleppo and surrounding areas, where jihadists are trying to regroup, on Monday Moscow promised to provide "the most active" air support for Syrian ground troops in and around the city. On Tuesday, Syrian President Bashar Assad also promised to "liberate" all of Syria from the jihadists. "As we liberated Palmyra and before it many areas, we will liberate every inch of Syria from their hands," Assad said on Syrian state television. "Aleppo will be the graveyard of [Turkish President Recep Tayyip] Erdogan's dreams."